It is hard to believe that July is here, and St. Vincent Evansville is beginning our new fiscal year. Much like we all have the choice of taking the attitude of the “glass half full or glass half empty,” I find myself reflecting on this. The foundation has accomplished many things in the first half of the calendar year, yet I am filled with excitement and anticipation for all the second half of the year has in store for St. Vincent Evansville and St. Vincent Evansville Foundation. 1) The official Grand Opening and Blessing of our new Sensory Playground at St. Vincent Center for Children. This incredible indoor/outdoor therapeutic playground center will be available year-round for patients, physicians, and therapists to utilize. The Foundation was blessed with a very generous donation by Bill and Mary Stone to make this the only one in the country and available here in Evansville to our patients with sensory processing disorders. Thank you to Bill and Mary for making this vision a reality! A native of Evansville, St. Vincent de Paul Award Winner Dr. Mark Browning has lived a life of service — first serving his country in the Navy, and now as a physician beloved by his patients. As a practicing physician at Oncology Hematology Associates, Dr. Browning always makes time for his patients – often giving them his personal number so they can reach him – day or night. Dr. Browning also serves his community with the same care and attention to detail he provides his patients. 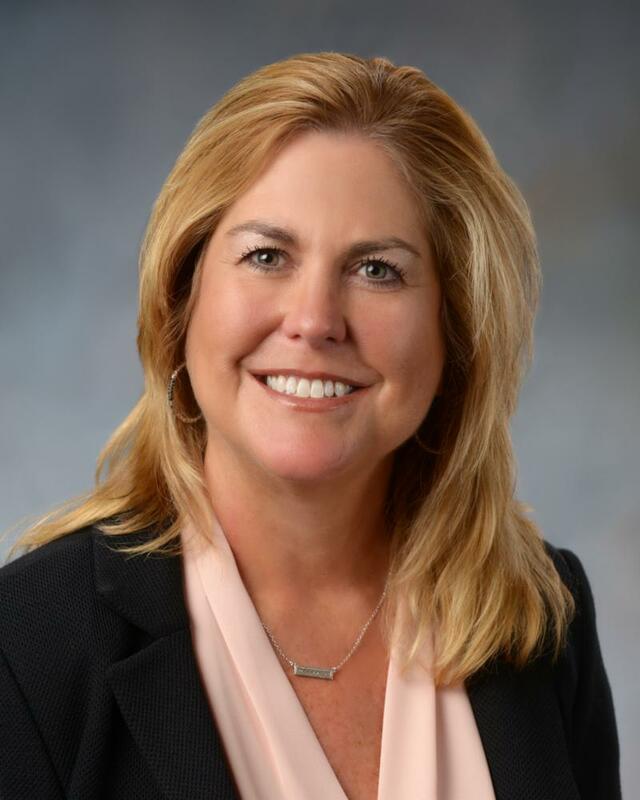 The Foundation has been thankful to have Dr. Browning as a dedicated board member for several years. 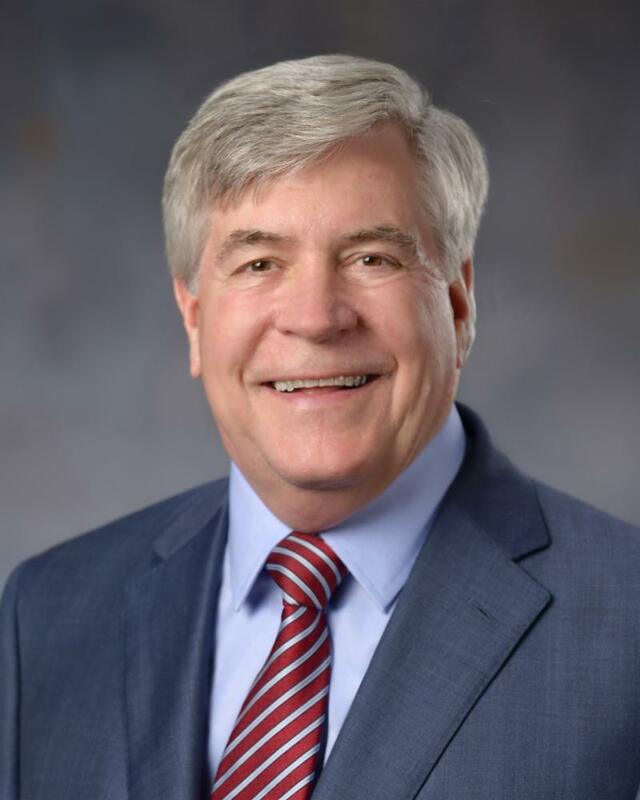 Additionally, he serves as a Clinical Professor of Medicine and Chairman of the Community Advisory Council for Indiana University School of Medicine - Evansville. Dr. Browning also assists in the development of BrowningGenealogy.org, a genealogy database through the Evansville Public Library System. He also serves as a director for the University of Southern Indiana and Evansville Public Library Foundations. 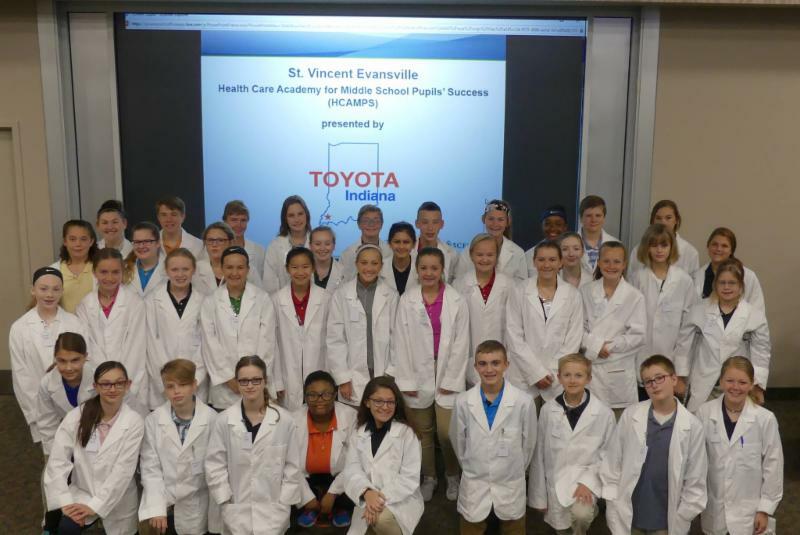 Recently, 39 hard working middle school students were picked by a panel of interviewers to participate in the 2018 St. Vincent Evansville Healthcare Academy for Middle School Pupils’ Success (HCAMPS) presented by Toyota Motor Manufacturing Indiana. This week-long program for middle school students interested in a career in healthcare gave students an opportunity to interact with healthcare providers, learn about the variety of careers available in the healthcare industry, and understand the educational requirements for a career in healthcare. Throughout the week, students participated in a variety of hands-on activities and learned from different healthcare professionals. 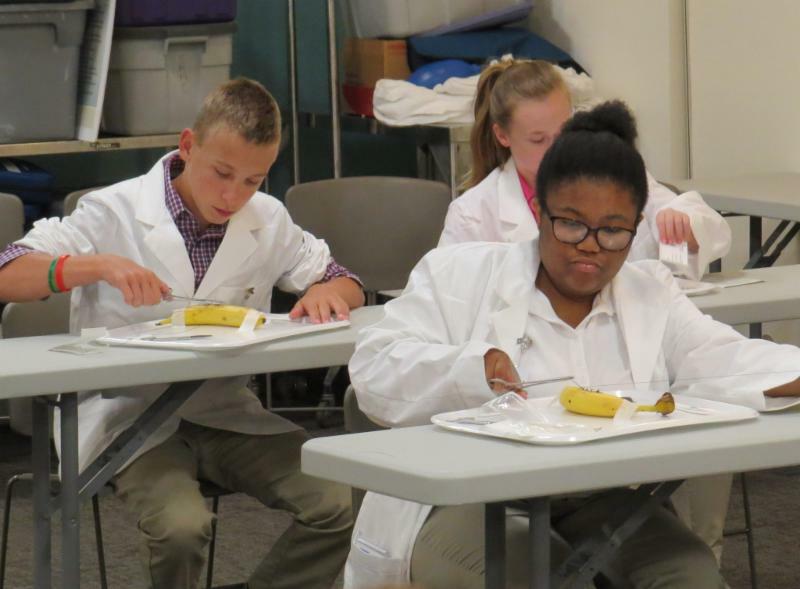 Just a few of the activities the st udents participated in included: touring St. Vincent's NICU, learning to suture on a banana, a cow heart dissection, traveling to area colleges and learning about their health sciences programs. 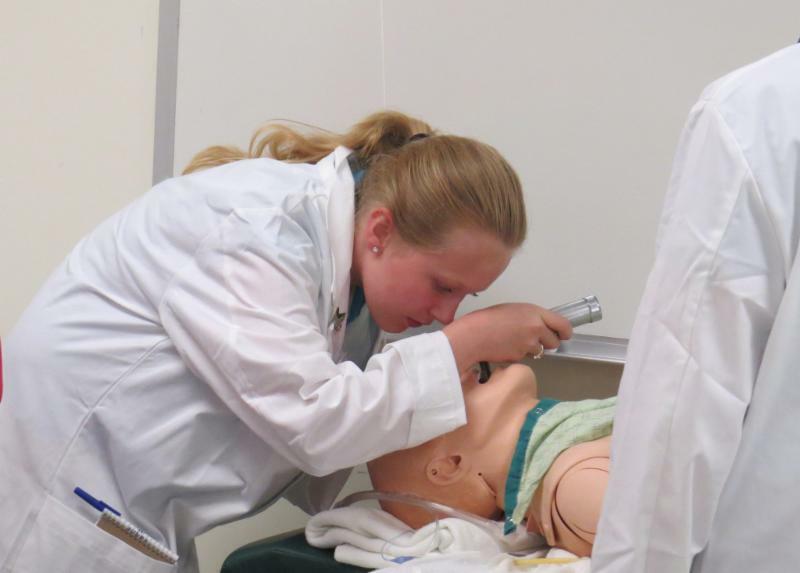 “Thank you so much for putting on HCAMPS and giving me such a great opportunity to explore the medical field. I really enjoyed listening to the Health Care Professionals talk about their careers. It helped expand my vision of the options in the medical field. Thank you so much. Sincerely Josey Herd." A very special thank you to Toyota Motor Manufacturing Indiana for their donation of $18,000 which will support this program over the next three years, fully covering the cost of attendance for all students chosen to participate! Recently, St. Vincent Evansville Foundation received a $54, 993.00 grant award at Susan G. Komen Evansville's annual awards ceremony. Sheila Hauck, Director of Oncology Services, Palliative Care and Professional Practice at St. Vincent Evansville accepted the award on behalf of the Foundation. 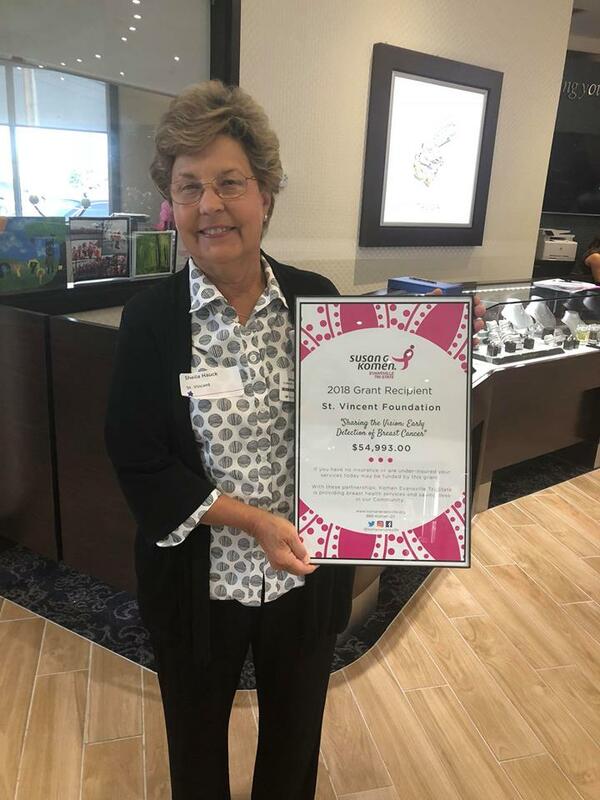 Thank you to Susan G. Komen Evansville for the award which is currently being used by our Sharing the Vision Program to screen, diagnose and treat individuals for breast cancer throughout the communities we serve. St. Vincent Evansville's Sharing the Vision Program had a 46-year old patient attend one of our mobile mammography screenings. She came to us as a screening patient with no insurance or current physician. After her initial screening mammogram, it was recommended by our radiologist that she come back for additional testing. When we called her to let her know this, she stated that she did not have a doctor to see to get an order for the additional testing. We were able to get her scheduled with one of our Nurse Practitioners, Amy Lowe, and in for her additional testing the same day to keep her from making multiple trips. She was very appreciative that we were not only able to get her in to be seen, but that she was able to get everything done and get her results in one day. All of these services were covered free of charge to the patient through the generous support of Susan G. Komen Evansville.